The U.S. Army has selected four companies to compete for military logistics support task orders under a potential $82B contract vehicle over 10 years. 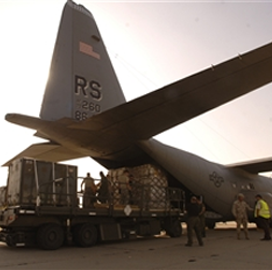 Army Contracting Command received six bids for the Logistics Civil Augmentation Program V through an online-based solicitation process, the Department of Defense said Friday. LOGCAP V has an initial ordering period of five years, followed by five one-year options, and covers support for geographical combatant command and Army service component commands across the full range of military operations worldwide. DoD said that all four contractors competed for $43.9M in orders for GCC services under the program and the department expects contract work to be complete by April 11, 2029. The Army will provide work location and funding details with each order.